Soviet-born scientist stirs up a revolution in engines in the U.S.
Soviet-born scientist, Nikolai Shkolnik, has invented the world’s most powerful and efficient combustion engine, and patented it in the U.S. In 1975 Russian physicist Nikolai Shkolnik left the Soviet Union for the U.S. after graduating from the Kiev Polytechnic Institute. For 10 years he worked as a consultant for struggling innovation companies. Throughout these years, he was constantly preoccupied with one question - why are modern car engines so inefficient? Shkolnik developed his own high-efficiency hybrid cycle (HEHC) engine, which became a key step towards his dream. He was helped by his son Alexander, who eventually graduated from MIT and had become an expert in system optimization. Nikolai Shkolnik is convinced that, among other things, the education he received in the USSR helped his ambition to create a revolutionary engine. 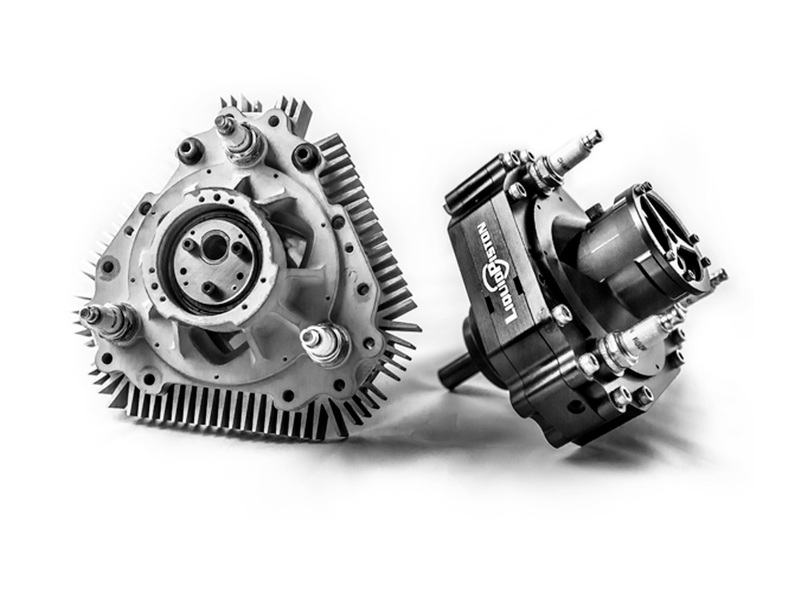 The father and son inventors were inspired by the idea of a rotary engine, whose principles were first proposed in the mid-20th century by German inventor, Felix Wankel. Ordinary piston engines have many rotating and moving parts, which reduces their efficiency. The Wankel engine, however, has an oblong chamber with a triangular rotor inside it, whose movements create different sections in the chamber where fuel is injected, compressed, burnt and released. Despite their higher efficiency, rotary engines failed to win wide recognition because they were not very reliable and not environmentally-friendly. The Shkolniks founded the LiquidPiston company and created their own version of a rotary engine where the rotor has the shape of a nut that revolves in a triangular chamber, thus resolving the shortcomings of the Wankel engine. In addition, the Shkolniks’ engine creates a so-called isochoric combustion that is fuel burning with the volume remaining constant, thus improving efficiency. The inventors created five models of an absolutely new engine, one after another, the latest of which was first tested in June when it was installed on a sports cart. The tests lived up to all expectations. The Shkolniks’ miniature engine weighs under two kilos, has a capacity of just three horsepower, and has an efficiency factor of 20 percent. By way comparison, a typical piston engine of the same displacement of 23 cubic centimeters has an efficiency factor of just 12 percent, while a piston engine of the same weight would generate just one horsepower. The efficiency factor of such engines improves dramatically with the increase in their volume. For example, the Shkolniks’ next engine will be a 40-horsepower diesel motor. Its efficiency will be 45 percent, which is higher than the best diesel engines in modern trucks. At the same time, it will weigh just 13 kg, while equivalent piston engines currently weigh about 200 kg. In the future, the Shkolniks’ compact and powerful engines are planned to be used in light drones, hand power saws and electric generators. To date, the Shkolniks' startup has received $18 million in venture investment, including $1 million from the Defense Advanced Research Projects Agency (DARPA). U.S. aviation mostly uses JP-8 fuel, and the military wants all military hardware to run on it, which incidentally, can be used by diesel engines. These engines, however, are rather bulky, which is why DARPA is taking a close look at the Shkolniks’ designs.